Q. What is the term of a Lease Agreement? A. Five years, with 3 renewal terms of 5 years each. Q. Will I need to submit a structural analysis? A. Yes. 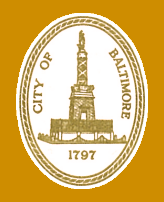 If the capacity of the tower exceeds 80%, as a matter of policy the City of Baltimore will require the proposed co-locator to perform remedial work to increase load bearing capacity so that the capacity shall be less than 80%. Q. Will the City provide information on the height and equipment on a tower? A. Yes, on a case-by-case basis. Q. Does the City of Baltimore enter into agreements on behalf of the Housing Authority of Baltimore City or the Baltimore City Public Schools?